We plan to use this surgery website to present all our patients with up-to-date news and information about our practice. We will keep it current with any developments or other details that we feel are relevant to you. There are two full time Doctors and one part time Doctor, contracted to provide general medical services to patients registered with us and temporary residents within our practice boundary. 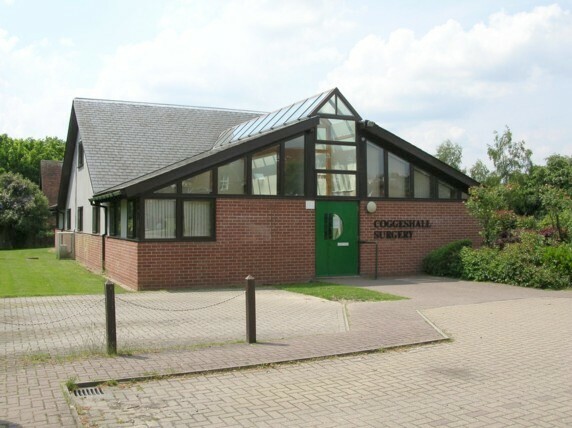 We also provide immediately necessary treatment for any person not registered with the practice who has a medical emergency within our practice boundary (but depending on the emergency, it may be more appropriate to attend the local Accident & Emergency Department at either Colchester General Hospital or Broomfield Hospital). A car parking space is reserved for blue badge holders. The building has access and facilities for the disabled. We also have wheelchairs available for patients to use if access to surgery is difficult from our car park. Please ask at reception.